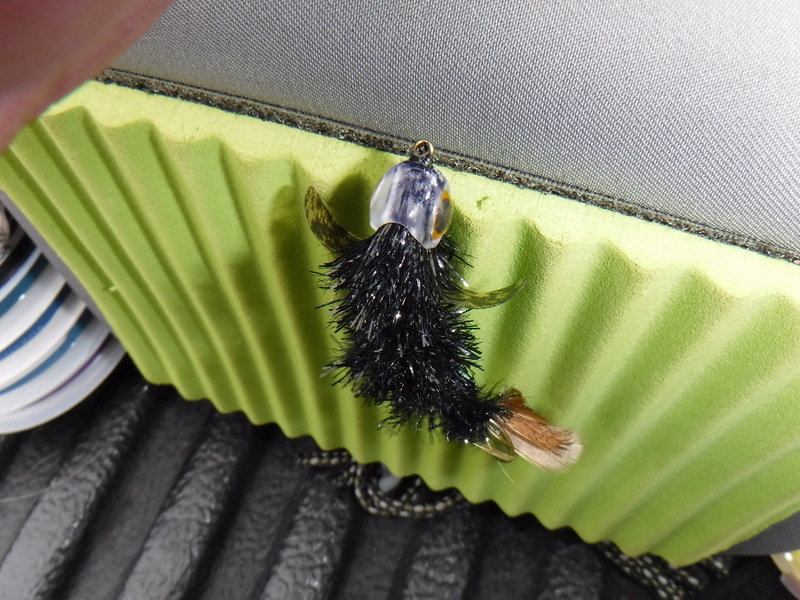 That Royal Stimi looks like it would be fun to fish! A couple of Brassies today. The Brassie is just one of those flies: simple to tie (even I can make a few decent ones) and it has "saved the day" for me a few times. I can't imagine being on the water without one in the fly box. I don't know if the originators of the Brassie were aware of the original Sawyer Pheasant Tail nymph, but this version of the Brassie always makes me think of Mr Sawyers creation. 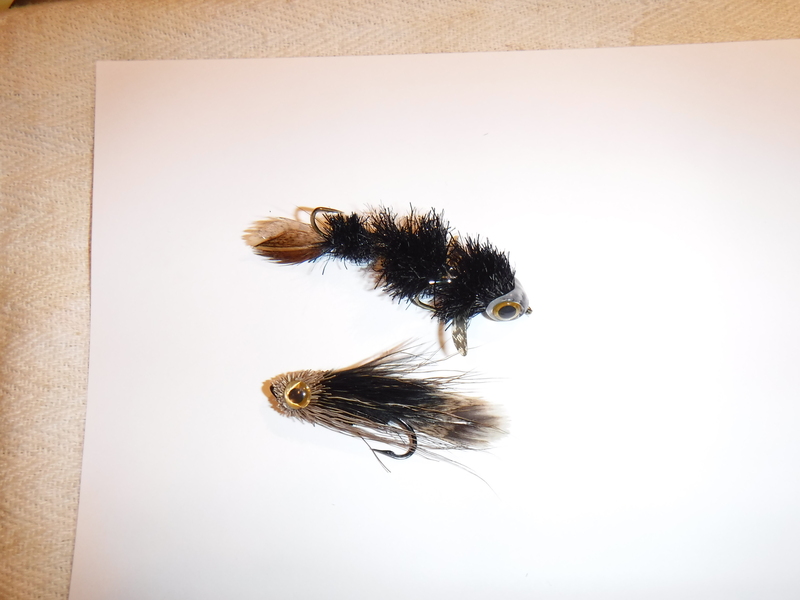 I wanted to give some Muddler/Sculpin streamer patterns a try, I am working on improving my streamer fishing techniques. I just finished reading the book Strip Set by George Daniels and want to put his knowledge to use. Bottom Muddler pattern I fished on Tuesday and LOST an 18+ inch Brown. After the take he stuck around for about 15 seconds and the line went slack. This Sculpin streamer I fished exclusively today-lost one big fish, didn't know what it was, but did manage two 12" Brown trout. I'm going to keep after improving my streamer fishing until some of the major hatches start to appear. Had a workshop with Kelly Glissmeyer at the East Idaho Fly Tying Expo, where I learned about this nifty chironomid pattern. I just had to tie some up today. Trout evaluation pending. Abdomen is a black thread underbody, chartreuse wire rib, all wrapped with UTC opal 'tinsel'. Thorax is black thread. A strand of "Halloween" Flashabou was tied in at the base and brought up and over at the eye to mimic developing wing buds. Then the thorax got coated in UV resin. The breathing elements are egg veil. Kelly's original recipe called for 'hot orange' Krystal Flash, but in the workshop we used some holographic orange mylar. I used "Halloween" flashabou which seems pretty close to Kelly's holographic mylar. I think the point here is to get an orange-copper color under the resin to imitate the natural's coloration and suggest developing wings. Kelly told me that he also ties these with a hot orange rib wire in lieu of the chartreuse wire. I'm going to make a couple more with olive thread bodies. I'll post those when I complete them.